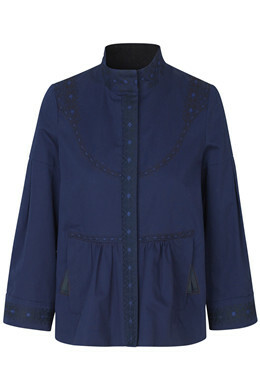 Cotton jacket with embroidery and three-quarter length sleeves. 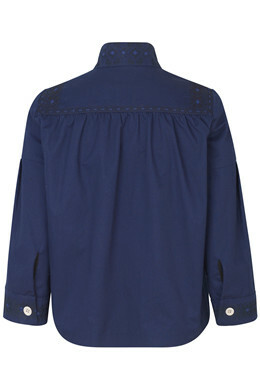 The jacket features a zip fastening and two pockets at the front. Great for livening up your everyday look or wearing to a party.